Natural Hematite Oval pendant, hanging on the black leather cord. 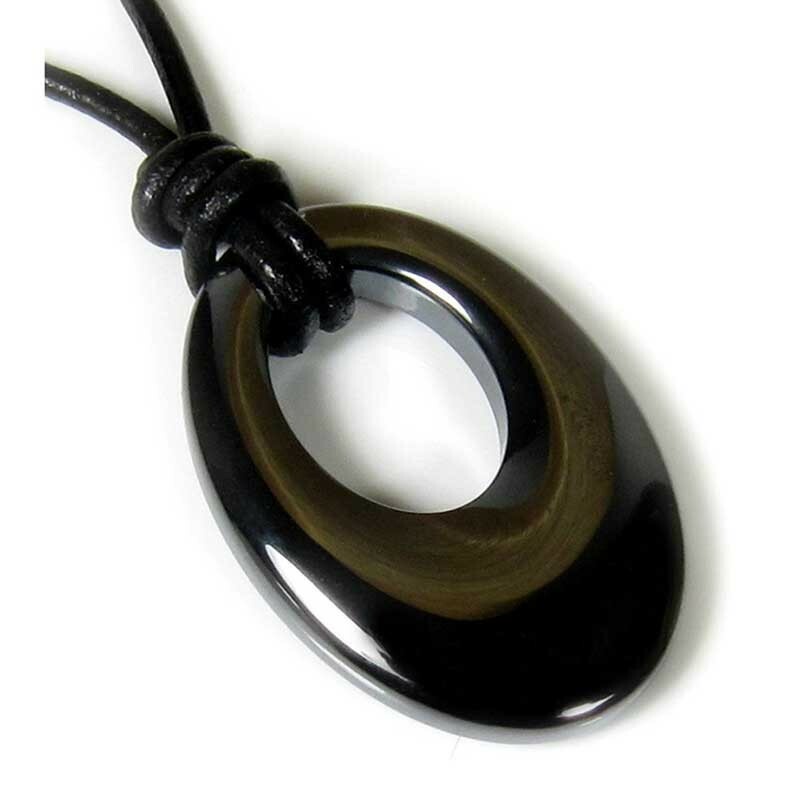 A fabulous unisex glossy black Hematite (non-magnetic) oval pendant with the leather cord necklace. 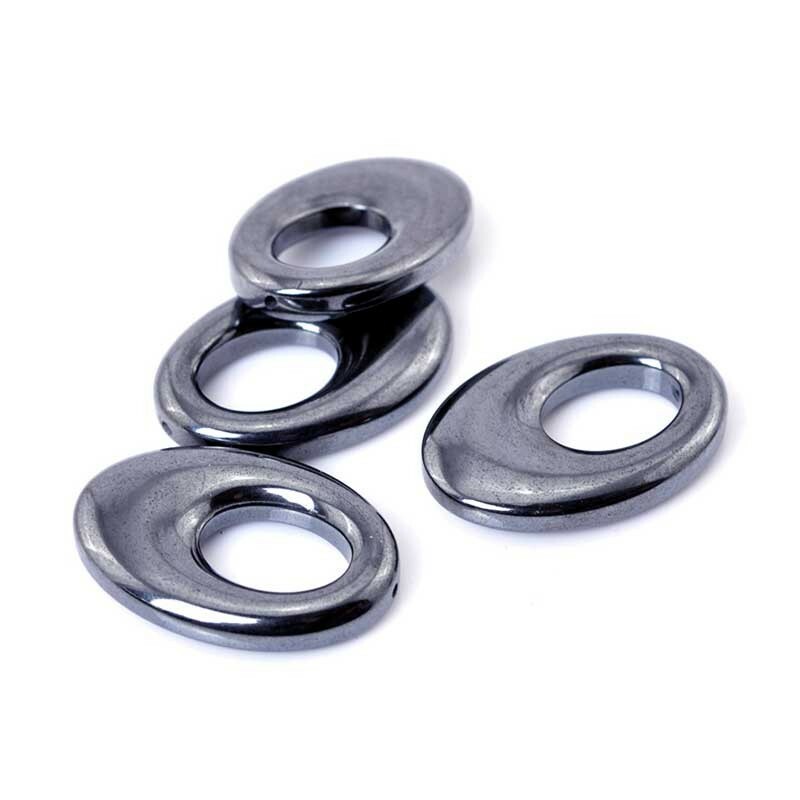 Metal Free and features top quality shine and polishing throughout.